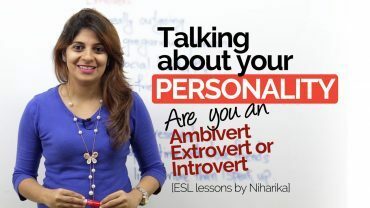 In this Skillopedia video, Rima brings you 07 Body Language Habits followed by the most successful people. Body language plays an important role in one’s overall personality development and can create or ruin one’s impression. 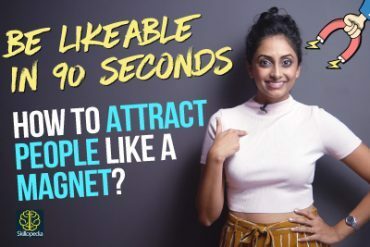 If you want to project yourself as a powerful personality and come across as a confident individual, the don’t make these body language mistakes that can ruin your positive image. Bad posture is a complete no .. Slouching in your chair, putting your elbows on the table, and covering your face with your hands are all signs of disrespect and disinterest. So, sit with your back straight and shoulders back, you look more self-confident. Remember – Never slouch: it makes you look shabby and under confident. Use gestures correctly and with caution. Wild gestures make you look unbalanced and weird. If you exaggerate your gestures, people will think that you’re telling lies or that you’re trying to hide something. On the other hand, open gestures make your personality friendly. A lot of people have this habit. 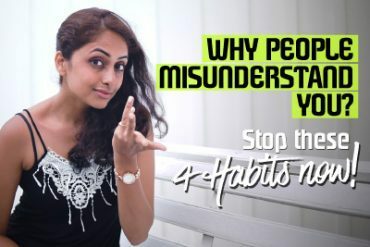 If you are one of those people who constantly touch their hair, plays with it, or tries to fix it all the time while others talk to you, drop this bad habit! This makes you look like an attention seeker and that is never good for your image. Do not underestimate the power of your smile, but also use your smile wisely at the right places. Don’t smile at everything; it’ doesn’t work .. but be friendly and approachable. Above all a smile makes you seem positive and everyone likes to work with positive people. Just keep calm no matter how stressful the circumstances are and maintain a smile on your face. This is the most important thing to learn about body language. Neither too strong nor too weak. Eye contact should be just right .. Friendly and honest. This will make you appear trustworthy 🙂 However, if you’re avoiding any eye contact, it sends a message too: you have something to hide. You should try to hold eye contact naturally and be yourself. The first thing we do when we meet people we shake hands that’s why it’s so important to have a good firm handshake. Never give a too weak or too strong handshake but make sure it’s firm. A good, firm handshake shows confidence and warmth. Next Next post: 06 Inspiring Adjective you should use in your Daily English Speaking.